Nieciecza, sometimes referred to as the Polish Hoffenheim, is a team from a really small village. By comparison, the village's population is over 6 times lower than capacity of their stadium. But that stadium made waves in Poland itself, having been delivered very fast and providing all the necessary infrastructure to meet Ekstraklasa demands. Nieciecza are no longer an Ekstraklasa team, following their recent relegation. But Raków Częstochowa want to take that place in a couple of years, having just been promoted to the second league (1 Liga). 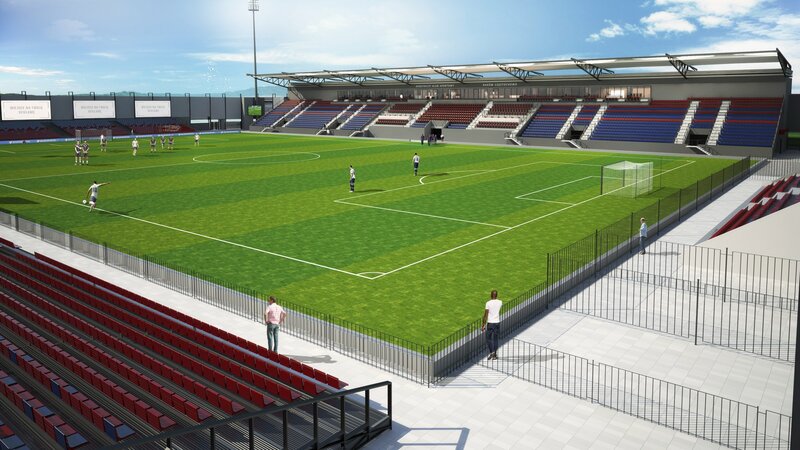 The city of Częstochowa has been failing continuously to improve the current municipal stadium. This year finally floodlight masts were erected, but apart from that it's still a far cry from meeting even 1 Liga demands in the long run. 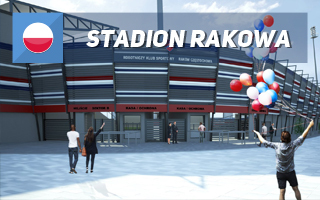 That's why Raków took it upon themselves and commissioned a new stadium concept based precisely on Nieciecza. Partly temporary, quick to assemble and quite cheap, now estimated to cost PLN 30-40 million (€7-9m). While it's not the final estimate yet, it sounds promising already. The only permanent grandstand would be located in the west, offering 3 levels of facilities, including several private boxes and a major lounge. Holding some 2,500 fans under cover, it would be joined by temporary sections on all remaining sides, initially with additional 4,000 and perhaps even 6,000 seats. One major advantage of the proposed stadium would be its versatility. On the one hand, from the very start it would be fully enclosed. On the other, temporary or permanent stands could be rearranged inside. Should construction begin in eary 2019, the stadium could be ready in just over a year. However, a huge obstacle remains: funding. 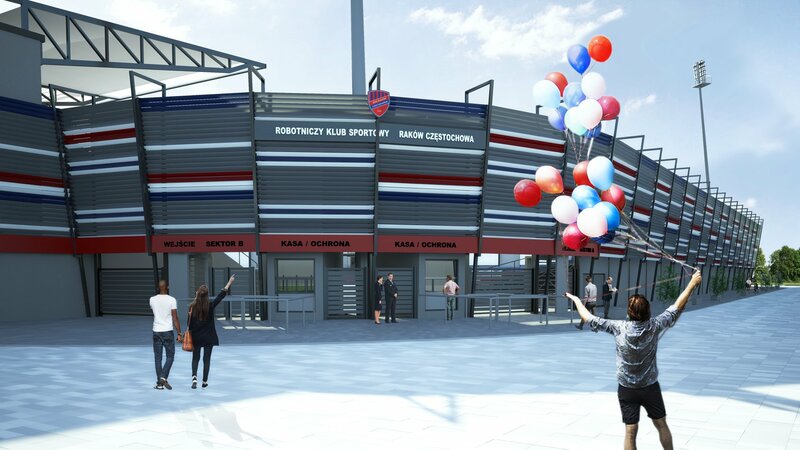 While the club could afford to commission a concept, final documentation hasn't been prepared and it would fall on the city of Częstochowa to build the stadium. So far relations between the city and Raków have hardly been great, to put it mildly. The city has also filed for a subsidy to the sports ministry as they hope to develop the stadium and surrounding area into a prime football training complex (complexes are subsidised, stadiums not). First notion was denied, second one is pending verification. Should funding be granted (PLN 29 million), window of opportunity would open. Let's wait and see!